Unfortunately, horses are expensive to own, so it's an expensive hobby whether you rent them, lease them, or own them. If you compare horseback riding camp prices to your church daycare or traditional daycare, it's expensive. However, since our horse camp offers horseback riding, you need to compare it to the cost of riding a horse. Our horse camp is a great deal when you calculate how much it would cost for your child to get five 3-hour lessons (which includes riding instruction plus 2 hours of riding). Given that they get more riding at camp for less than our regular prices, we essentially keep them all day for free! Our goal is to make horseback riding camp attainable for more children by offering affordable rates and several discounts that you may be able to take advantage of. In addition to our early registration discount and sibling/friend discount, we reward repeat campers by extending an additional discount to them. 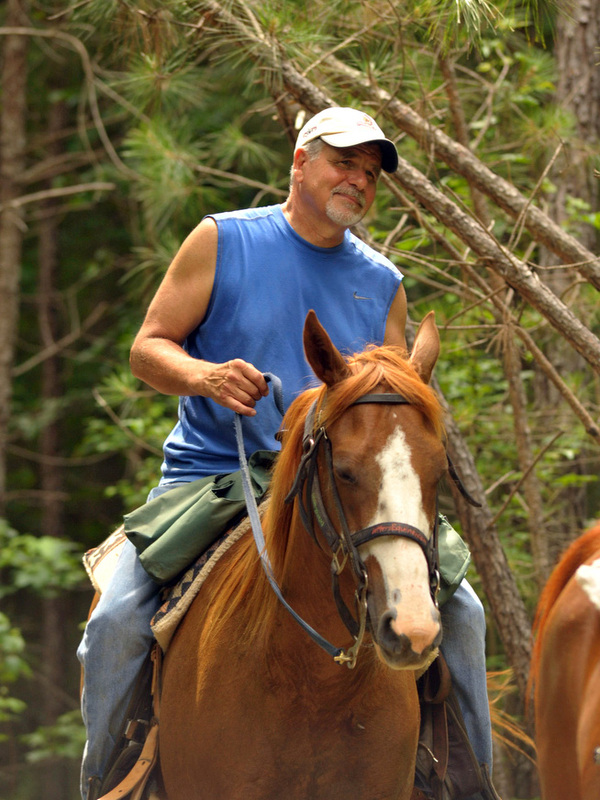 Dead Broke Farm is an affordable horse camp listed in the Raleigh, NC horse camps directory on NewHorse.com. Spending a day at Dead Broke Farm's horseback riding camp is the closest you can get to spending a day at your grand parents' farm. But for those kids whose grandparents don't live on a farm, they can come experience life on a working horse farm right here at Dead Broke Farm. The days are relaxed with a flexible schedule. The children are free to decide which activity they'd like to participate in when they aren't partaking in one of the supervised activities such as horseback riding or a wagon ride. The playground, clubhouse, and farm animals are accessible to them in a relaxed country environment. You can expect to pick up your children looking like they had fun on a farm all day, who are tired, proud of themselves, and excited to come back the next day to see their horses. Your kids will develop close bonds with their horses and learn - not just about horse riding - but about the level of care horses require. By far, this experience will resonate much more than any structured day camp. 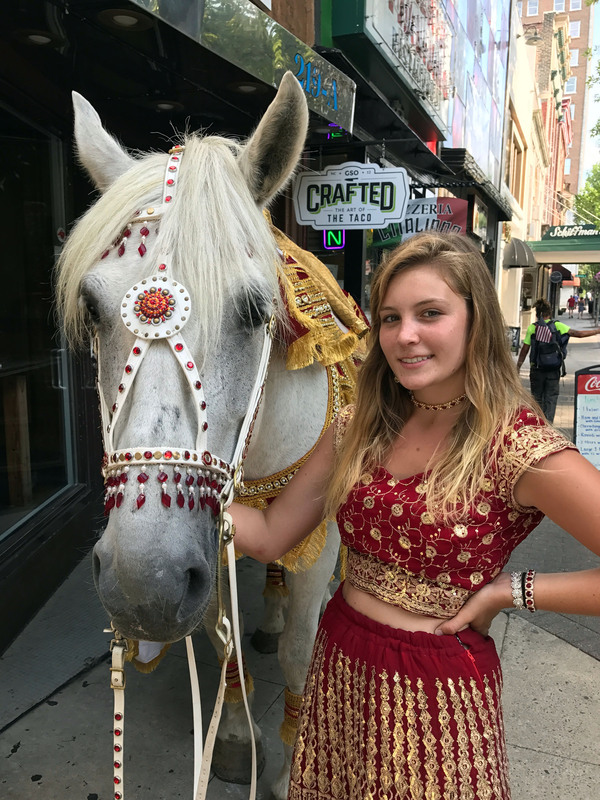 The staff lets your child be themselves at their own pace while encouraging them to take active roles in grooming, saddling, and caring for the horses. 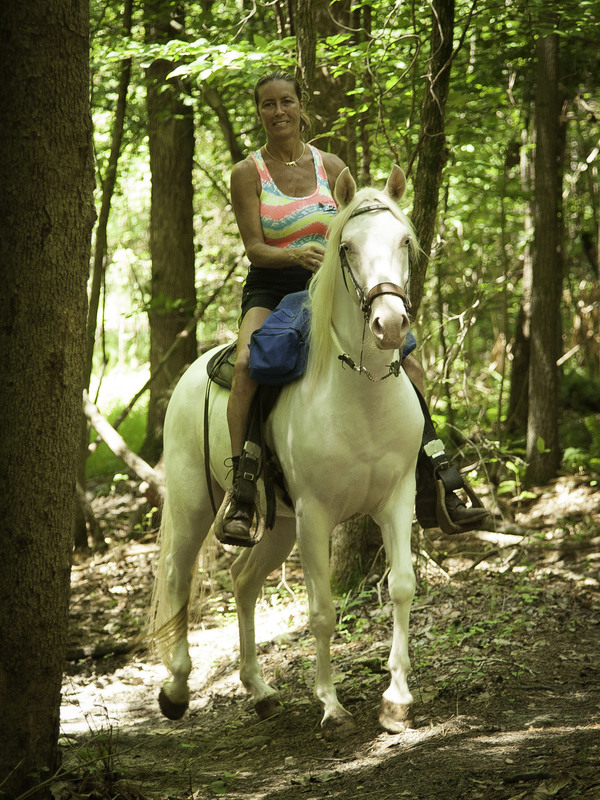 If you consider the cost of a horse ride, this camp is a tremendous value. Your children don't just 'ride a horse', they get a real understanding of what it's like to have a horse, i.e. they get a well rounded experience. Since the focus is on a working horse farm experience, it may appear on the surface that Deadbroke doesn't offer the bells and whistles and 'shine' of a polished facility. And it's true. So if you're looking for a country-club atmosphere, this isn't your place and it isn't intended to be. The facilities cover the basics: bathrooms, air conditioned 'clubhouse', and playground. You provide the rest: lots of bottled water, lunch, and snacks for your child. It's truly a day-to-day 'going out to the horse farm' experience. Enrollment is limited to 15 children per week, so early registration is recommended. The ratio of riding instructors to children is 1 to 5 or less. Our camp may not be suitable for parents who desire constant supervision for their children in a highly structured environment. This is a farm - an outdoor camp where they are permitted to choose what they want to participate in and where they'd like to be until time for their horse ride or wagon ride. They can be in any of the safe zones: playground, air conditioned clubhouse, or down in the barn area with the guides, horses, dogs, and other animals. If you need help in deciding if this camp would be suitable for your child, you can come out to visit our farm. We're open from 8am to 6pm for farm visits. No appointment is necessary for an informal visit. If your child has their own ASTM/SEI certified equestrian helmet, they can bring it. If not, we provide them at no additional cost. However, if you prefer that you child not wear a helmet that has been worn by others, you can purchase them at our farm when you check in on your child's first day of camp. While we santize our loaner helmets with lysol spay and a lice preventative spray, we recommend that children either bring their own equestrian helmet or purchase one from our farm on their first day of camp to help ensure that there are no hygiene concerns or issues. We offer several styles and colors to choose from at a very reasonable price, $60 regardless of which helmet your child chooses. When purchasing a helmet online, it can be challenging to order the right size, quite expensive, and often you will incur shipping fees. So we've tried to make it easy for you if you choose to buy one for your child. All of our helmets are brand new, still in the box, and ASTM/SEI certified. Several of the helmets we offer are pictured above. We also offer optional protective helmet covers to help differentiate your child's helmet from another child's and to protect the helmet from scratches and dirt. Some of covers we offer are shown below. We also offer insulated horn bags that drape over the saddle horn in front of your child for easy access to their water to help keep them hydrated while they are out on the trail. Even though our trails are wooded and shaded, the summer heat can be brutal, so it's a good idea to make sure your child has access to water throughout the day... even when they are on their horses. The cost of our horn bags are $25. The children will also have an opportunity to decorate their horn bags while they are here at camp. If you opt not to purchase one for your child, your child will be given another creative activity to do while the horn bags are being decorated. Our farm is a relaxed environment. We are half a mile off the road down a private dirt road where eash of the 8 families who live here own 10 to 70 acres. (We have 110). See the great expanse of land surrounding our farm in the photo below. Our farm is like in the olden days where you didn't have to be as concerned about your child being abducted. I never allowed my daughter to play in our front yard when she was young even though we live in a nice neighborhood, but I have always felt safe with her anywhere on our farm. But clearly, we set boundaries for our camp kids that we consider to be safe areas for them to be in. They aren't allowed in the pastures and must stay in the playground, clubhouse, or down at the barn with us and our horses. We are essentially land locked with only one way in and one way out. And even though we are open to the public, anyone who pulls up is easily noticed, and they are asked if we can help them since no one has any reason to be here without a valid purpose such as: trail riding, picking up or dropping off a camper, getting free manure for their garden, etc. Our farm is large with a central hub up at the barn where the horses are hooked up to the hitching rails for the campers. We simply ask that you let us know when you are dropping off and picking up you child. We have tried many strategies for the sign-in / sign-out process, but nothing has been very successful. Parents get displeased when they are held up when picking up their children. Cypher coded doors (like they use in daycare centers) won't work because we are in an outdoor environment. The use of a sign-in / sign-out sheet has proven to problematic in locating the staff member on the farm who had the sheet when the last child was picked up. We tried providing secret passcodes for parents to use when picking up, but too often parents can't remember the passcodes provideed to them, or someone else picks them up but the parent forgot to share the passcode with them, which is problematic. So we rely on the fact that children aren't going to leave with a stranger without raising a fuss that would easily be noticed by one of our staff. In short, if the child doesn't know the person who is picking them up, we won't allow them to take the child without verification from a parent. Furthermore, we ask that if a someone other than a parent will be picking your child up from camp - grandparent, nanny, aunt, uncle, or another camper's parent - that you notify us know in advance. A $100 nonrefundable deposit per week is required to reserve space for your child. If you'd like to ride with your child while they are attending our camp, you'll get $10 off our normal rate, so you pay just $60 for the 1-hour ride. The offer is valid any day of the week while your child is attending camp, but we recommend you ride on Thursday or Friday, so you can see what your child has learned. Children attending the weekly sessions can get a Dead Broke Farm t-shirt for the discounted price of $5 (normally $10). Tie-dyed Dead Broke Farm t-shirts are available for just $10 (normally $15). We also have other Dead Broke Farm logo'd merchandise available for sale such as: hoodies, lunch sacks, pens, pencils, school backpacks, computer backpack carrying cases, and insulated cups. 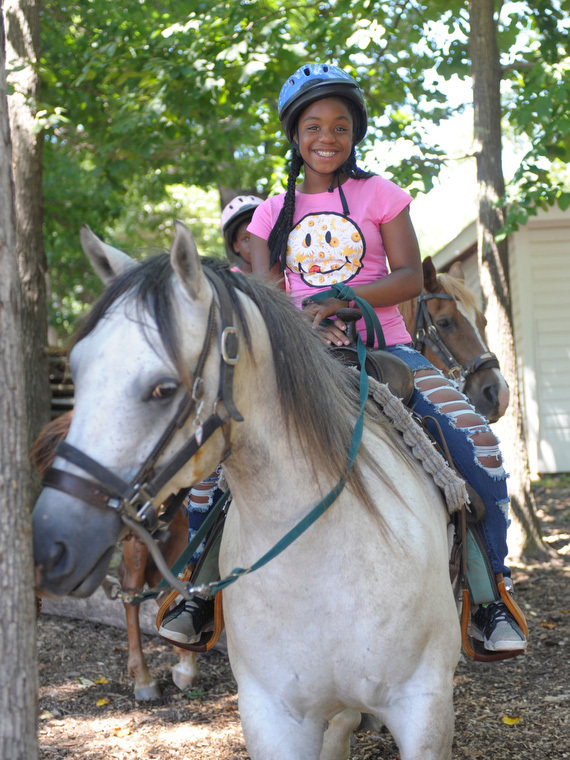 Because our horseback riding camp can fill up quickly, we recommend that you register early. We only accept up to 12 children per week for the weekly camp and no more than 15 per day including the campers scheduled for individual days. Drop them off at the farm: 6921 Wildlife Trail, Raleigh, NC 27613. NOTE: The above form is in PDF format. Adobe® Reader® is required to view and print files in PDF format. If faxing the forms to us, be sure to use the Paypal Payments button below to submit the nonrefundable $100 deposit for each child you're registering. Please note that we can also accept Mastercard, Visa, or Discover over the phone for your deposit, or it can be submitted on the camp registration form, and no processing fee will be billed to you. However, if you choose to pay the balance using a credit card, we will add 4% to your balance. As a small business, we cannot absorb the costs that the credit card companies assess on the full amount. Call (919) 596-8975 if you wish to use a credit card over the phone for your deposit. If you have questions about any of DBF's services, please email us. Anti-Spam Question: How many legs does a horse have?